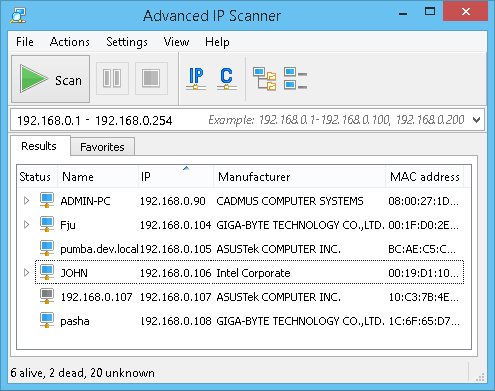 Advanced IP Scanner is a free and fast network scanner allowing you to quickly retrieve information about network devices and get access to their various resources such as shared folders, HTTP, HTTPS, FTP, RDP and Radmin. The program does not require installation and has a simple and user-friendly interface. Advanced IP Scanner is widely used by system administrators and home users for network management and monitoring.